Billy Graham has preached the Gospel to more people in live audiences than anyone else in history–nearly 215 million people in more than 185 countries and territories–through various meetings, including Mission World and Global Mission. Hundreds of millions more have been reached through television, radio, newspapers, video, film and webcasts. Dr. Graham says, “My one purpose in life is to help people find a personal relationship with God, which, I believe, comes through knowing Christ.” Today Dr. Graham’s ministry is carried on by his son, Franklin Graham. 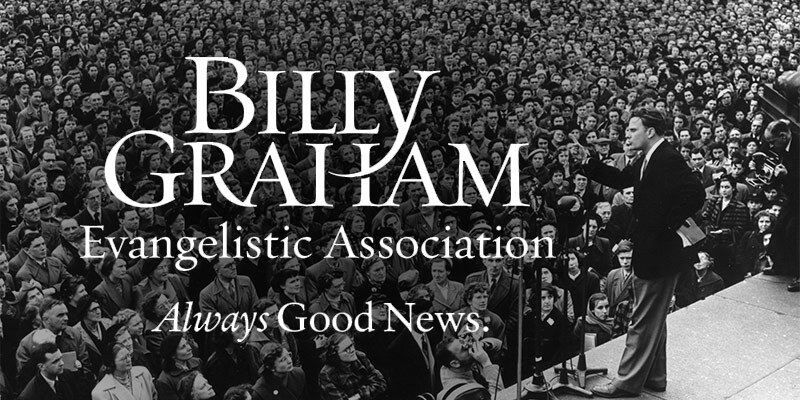 As part of its ongoing evangelistic work, the Billy Graham Evangelistic Association has distributed millions of keepsake wallet cards, ink pens, and other items imprinted with The Salvation Poem at the Billy Graham Library in Charlotte, North Carolina and at Franklin Graham evangelistic crusades around the world.